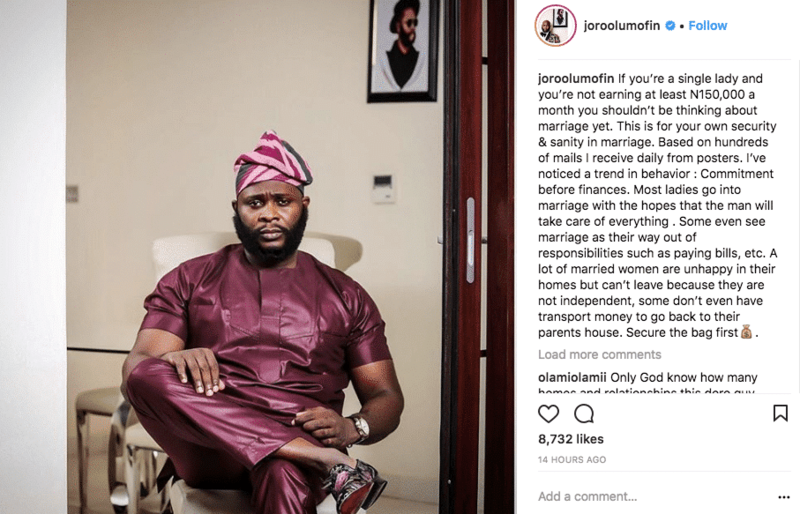 Relationship expert, Joro Olumofin has given an advice to ladies who are currently thinking about getting married. In an Instagram post, he advised such ladies to jettison the idea of getting married if they are not earning up to N150,000 monthly. According to him, this will prevent them from placing all their burden on the man they will get married to. ”If you’re a single lady and you’re not earning at least N150,000 a month you shouldn’t be thinking about marriage yet. This is for your own security & sanity in marriage. Based on hundreds of mails I receive daily from posters. I’ve noticed a trend in behavior : Commitment before finances. Most ladies go into marriage with the hopes that the man will take care of everything . Some even see marriage as their way out of responsibilities such as paying bills, etc. A lot of married women are unhappy in their homes but can’t leave because they are not independent, some don’t even have transport money to go back to their parents house. Secure the bag first”. 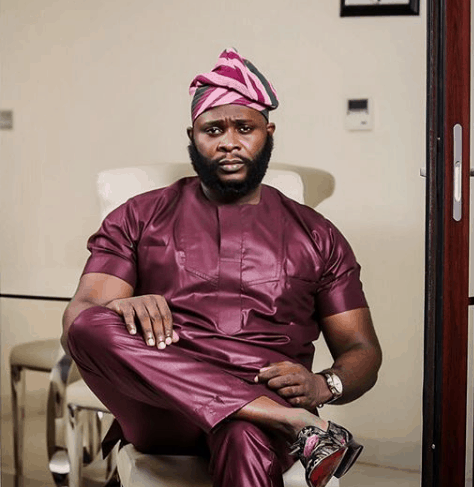 Joro Olumofin also gave 20 tests he believes every man should run on a lady he has prospects of getting married to. Read his words below and don’t forget to drop a comment if you support his stance or have a contrary opinion. This article is inspired by a conversation I had with a couple of friends at a resort over the weekend. .
We realized that unlike our parents times it’s very hard to identify the ONE because of social media, wedding pressures, most girls looking like barbies. Are there still loving traditional supportive women out there ? Here are a few tests you can run on a prospective wife or lover. 16. Only on April fools tell her you got a University girl pregnant. Only on Aprils Fool Day. 19. Tell her she can’t watch Zee world or Telemundo anymore. 20. Tell her no makeup artist, professional photographer for your wedding that you’re saving up.